Introduction to Lined Paper Templates? A lined paper is a simple ruled paper used for writing which might be with or without border and headings. A lined paper can also be a paper from your daily diary with date, day and month printed on it or a blank page with only lines placed at an equal distance. It can be of any color depending on the purpose and can be designed easily. A lined paper is available in many forms, a paper with boxes, narrow lined paper, double lined paper with a customizable border that can also be changed by inserting an image or using page borders feature. A lined paper template can be used to prepare notes book by using the created lined paper templates and printing it again and again as per use. A lined paper finds it use mostly for solving the problems of mathematics where we always prefer a specific sort of lined math paper, exclusively designed for solving mathematical problems. This math paper consists of vertical and horizontal lines which are printed on a blank paper placed at regular spaces. The regular grid that is found on the lined math paper may be used to present mathematical expressions in a meaningful way and allow the users to get a lined math paper which will assist them to solve the theorems, & equations of math. Lined math paper finds its use mostly in schools where children find out a solution for different mathematics theorems and using this template it becomes easy for them to write. However, a lined paper template may be used by students or professionals for multiple purposes like, for solving the structure of algebraic equations, for calculus & analysis, for geometry & topology, for Combinations, for derivatives, and integrals functions of real numbers, for number theory, logic, & for mathematical physics. Lined paper or sometimes also referred as ruled paper is a writing paper composed of horizontal lines that separate lines of hand-written text. This kind of paper is very helpful as it helps organize data properly by providing margins in the form of vertical lines. It is a good alternative for a blank paper when it comes to writing, calligraphy, noting music or drawing graphs as many at times it happens that for various reasons many people find it difficult to write in straight lines without it. Evenly spaced straight guides make for both easier writing and reading. In other words – they keep your writing straight. The type of ruling depends on the purpose of the paper or the style of handwriting. The layout almost remains the same consisting of equally spaced horizontal lines with optional vertical lines drawn to indicate margins or sections. The most common example is notebook paper that comes in many sizes and formats but it always has the same structure. It is, of course, easy to buy the lined paper but you won’t find it difficult to generate your own printable lined paper, one of the reasons behind this is the flexibility it provides. When you create it from scratch, you can control every aspect of it, for example, if you need to resize the margin or space the paper or form a grid with larger blocks, you may achieve it by only a few clicks. Ruled paper is something that we are all familiar with as it is an essential part of learning how to write using your hand. Children in preschool, kindergarten who have just started learning how to write are taught and made to practice handwriting using writing paper where additional dotted lines are made between two horizontal lines to help position and scale characters properly. The more sophisticated writing papers are also available which also provides a character spacer line that each numeral or letter is written within. With time as the students improve their skills and get accustomed to the formation, they start using regular ruled paper with only two lined that separate lines of hand-written text and may be later vertical lines can be introduced to provide margins as helping agent. Lined Paper can easily be generated online as per your requirement using the toolbar to adjust the settings by controlling the spacing between dots, margin size, stroke color, and width as well as paper size. You can check your design using live preview before you take a print of it, this will help you evaluate your design. Units for each of these can be selected as per your comfort(millimeters or inches). Russia: The Russian standard specifies different formats for ruled paper for exercise notebooks that are used for writing in schools. It defines that the school exercise books must use 8 mm spacing between the lines as per the standard format. Though, other ruled paper may use 6 mm, 7 mm, 8 mm and 9 mm spacing. The paper recommended for cursive writing has a format that uses pairs of lines 4 mm apart, with 8 mm spacing between the pairs. These can also have angled lines at 65 degrees to vertical to provide additional guidance. The color coding that the lines can have may include gray, blue, green or purple color whereas the vertical margin line must have red or orange color only. Narrow ruled paper has 1⁄4 in (8⁄32 in, 6.4 mm) spacing between ruling lines, and is mostly used by those people who have smaller handwriting or to fit more lines per page. Medium ruled (or College Ruled) paper has 9⁄32 in (7.1 mm) spacing between horizontal lines, with a vertical margin drawn about 1 1⁄4 inches (32 mm) from the left-hand edge of the page and is the most widely used paper format in the United States. 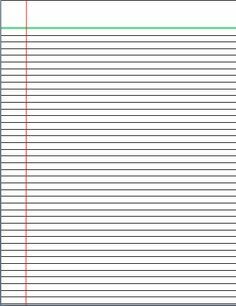 Wide ruled (or Legal ruled) paper has 11⁄32 in (8.7 mm) spacing between horizontal lines, with a vertical margin drawn about 1 1⁄4 inches (32 mm) from the left-hand edge of the page. It is commonly used by American children in grade school, as well as by those who have larger handwriting. Gregg ruled paper has ruling specialized for stenography. It has 11⁄32 in (8.7 mm) spacing between ruling lines, with a single margin drawn down the center of the page. Pittman ruled paper has ruling specialized for stenography with 1⁄2 in (12.7 mm) spacing between ruling lines and a single margin drawn down the center of the page. Manuscript ruled paper is used by beginners who have just started learning as it helps to teach young children how to write. 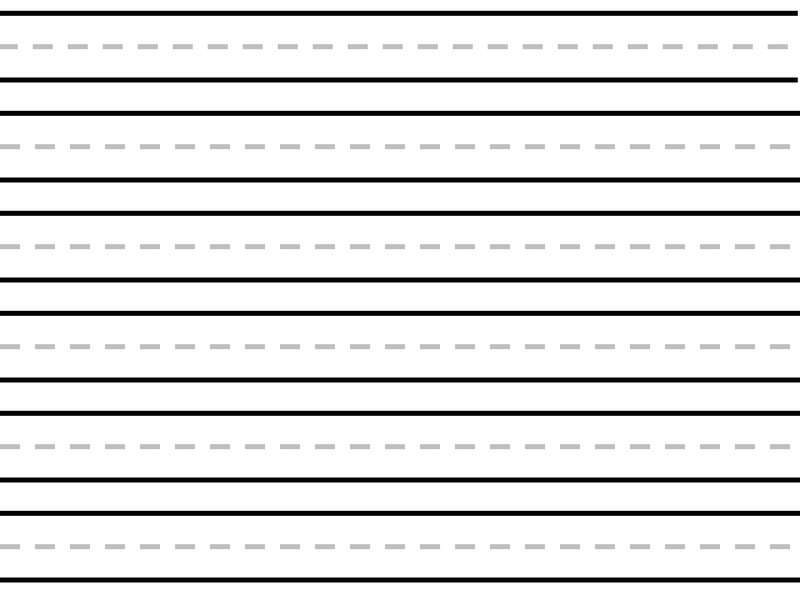 It is a blank sheet consisting of rows of three lines (the space between them depends on the age group being taught) with the middle line in each three-line set being dotted which acts as an additional guidance to position the characters. Are you bored of typing on the plain white computer screen or missing those days when you used those ruled line college notebooks? Well, let us come out of nostalgia and use these amazing templates just to horizontally align your handwriting on the paper or to once again see the texts in ruled background. A ruled paper template is easily available everywhere and even you can design your own design, print it and use it for various professional projects, academic assignments or simply for the recreational and fun purpose. 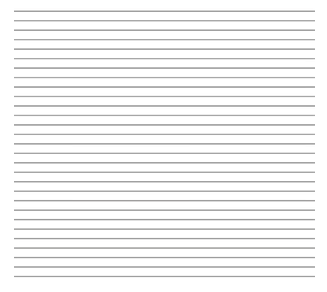 Printable Lined Paper College: This template resembles those of our register pages, it is letter sized printable lined paper with blue horizontal lines with a red margin. Print it on superior quality paper to experience your past days for your professional documentation or academic note making purpose. Lined paper: This particular template is indispensable stationery if you want that perfect documentation experience. It has plain simple black lines oriented horizontally with standard space between them and can be effectively used both in a ceremonial way and in an easy-going way. Lined paper with blue lines college ruled for assorted uses: This Template is simplicity at its best with just plain blue lines on a white sheet which makes it use able for the miscellaneous purpose. There is no border or margin just open ruled space hence making it professional or academically accessible. 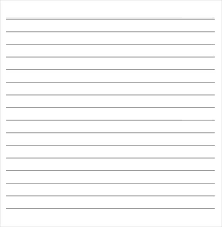 Black lines: With no border or any margin this template consist of never ending plain parallel black lines which can either be used to jot down points professionally or just to scramble your thoughts, it’s convenient and the most appropriate template both for office and casual use as per your requirement. 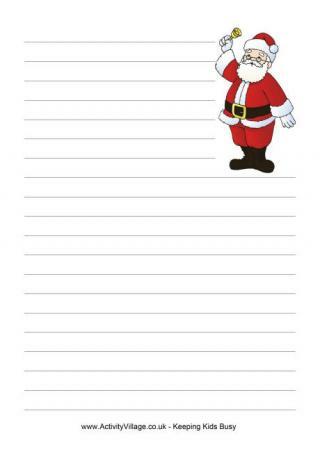 Printable Lined Paper College: This Template has a simple black line on the white paper with a double red margin which can be printed and used for any theoretical, educational and academic work. It’s very simple in its design and the quality of paper on which you print it makes it remarkable. 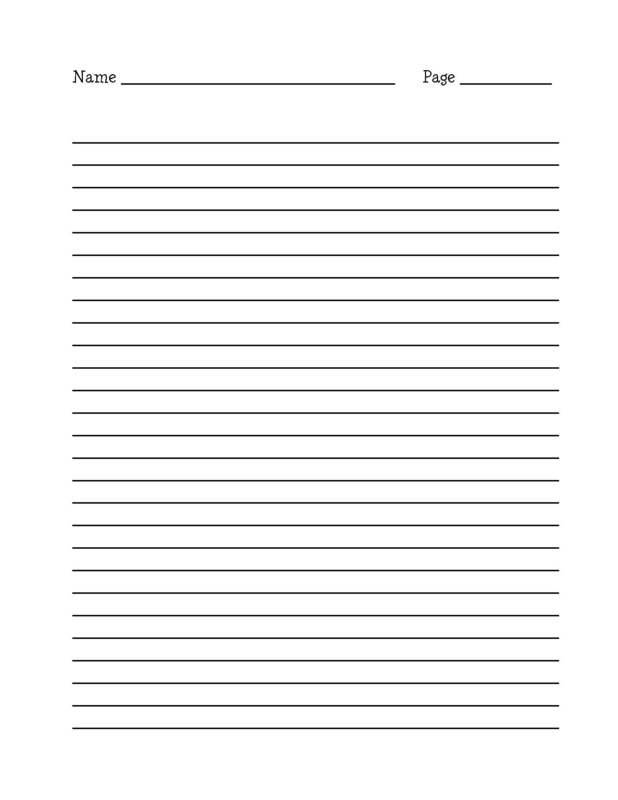 Ruled Line paper templates can never go out of fashion simply because of its simplicity and easy. The wide range of Ruled Line templates can be easily customized to meet your requirements and can be easily printed out to use them for your professional purpose and are compatible and easily design able using various software versions. Lined paper or sometimes also referred as ruled paper is a writing paper composed of horizontal lines that separate lines of hand-written text. This kind of paper is very helpful as it helps organize data properly by providing margins in the form of vertical lines. It is a good alternative for the blank paper when it comes to writing, calligraphy, noting music or drawing graphs as many at times it happens that for various reasons many people find it difficult to write in straight lines without it. College-Ruled or Wide-Ruled: If you’ve been to school at any point in your lifetime, chances are good that you’re intimately familiar with lined notebook paper. The college-ruled paper has 7.1 mm of space between each line, while the wide-ruled paper has 8.7 mm of space between each line which is best suitable for taking notes because it keeps your lines of text straight without interfering with the words. It’s also good for letters and text others are going to have to read, for the same reason. Graph Paper: Drawing exercises and geometric drawings are great jobs for graph paper not only this it can also be used for organizing lists. When packing for a trip, I like to divide what I need to take into separate boxes for clothes, toiletries, electronics, etc. Graph paper keeps my boxes neat and organized in a way that lined paper can’t, particularly without the use of a ruler. Blank Paper: A completely blank page devoid of printing of any kind provides the ultimate freedom for unencumbered writing and drawing. It can also be used to write lines any which way you choose – diagonally, in a spiral, in the shape of a mouse – the possibilities are endless. On the other hand, the complete lack of structure does present some challenges. Drawing straight lines are infinitely more difficult. Dot-Grid Paper: Picture graph paper with a dot in every corner and no lines provides a subtle guide for when you’re learning the structure of clean, straight lines and neatly-drawn boxes, but it’s also unobtrusive enough to not interrupt doodles and sketches. In school, the first notebook with dotted pages was the best one as it could be filled with hopes and dreams and unsent letters, scribbles, and doodles and thoughtful drawings. Children in preschool, kindergarten who have just started learning how to write are taught and made to practice handwriting using writing paper where additional dotted lines are made between two horizontal lines to help position and scale characters properly. 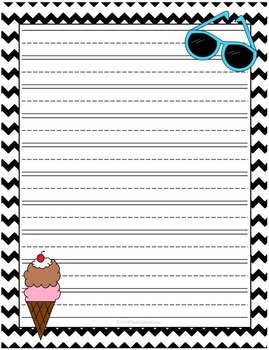 Here are some funny and useful lined writing paper templates. It includes blank lined paper as well as graphic themes like Christmas, Valentine’s Day and Halloween. 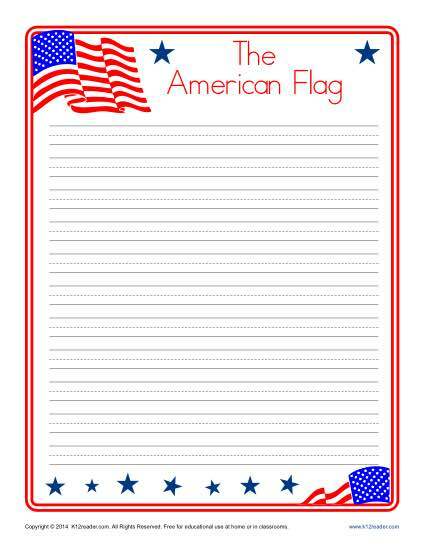 American Flag Lined Writing Paper: This American Flag lined paper is to write a letter or their thoughts about a special USA holiday. 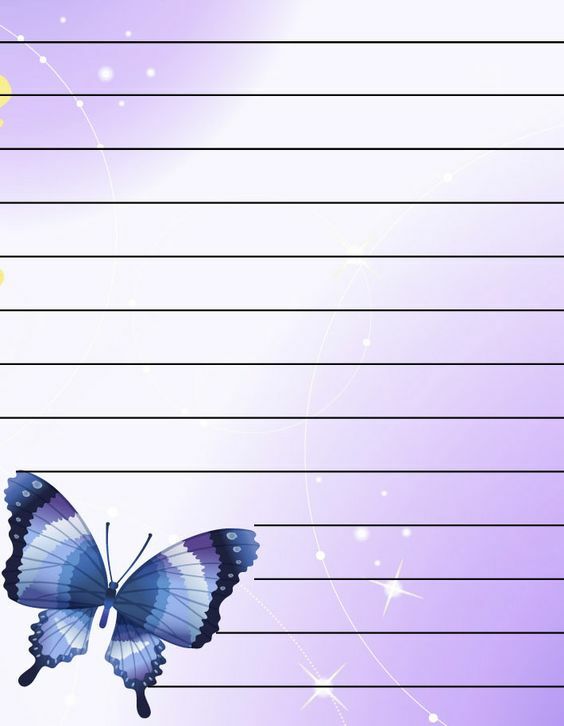 Butterflies Lined Writing Paper: Butterfly lined paper makes a great background for hopes and dreams to be put into writing. It keeps you cheerful and allows fresh thoughts to enter your mind whenever you sit to write something on it. 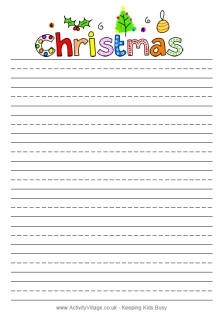 Christmas Writing Paper: This printable lined paper template includes a colorful Christmas tree and colorful lines for your youngster to write on. 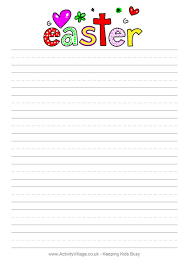 Easter Lined Writing Paper: Let your students tell you their favorite part of Easter on this Easter themed lined writing paper! Fall Lined Writing Paper: Beautiful Fall themed paper for a beautiful season! Kids can create masterpieces on this specially designed lined writing paper. 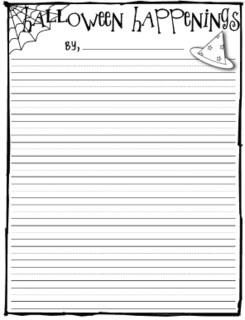 Halloween Writing Paper: This Halloween writing paper with lines is certainly a treat! This theme can also be used as an invitation to your birthday or house warming party. Lined Writing Paper: This lined writing paper doesn’t have the center guidelines hence can be printed as much as you like! School Themed Lined Writing Paper: School themed, lined, writing paper can make you love telling you all their ideas and dreams for this very special year! 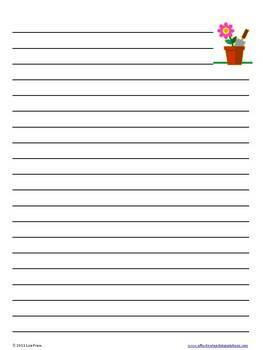 Spring Lined Writing Paper: A great way to spend a rainy day is writing on this specially designed writing paper. With a Spring theme, this paper is lined to make it a great tool for even the youngest writers to express themselves! Summer Lined Writing Paper: While parents may not always agree, kids love the summertime and there are plenty of fun ideas to write about. Use this lined writing paper in class or at home. 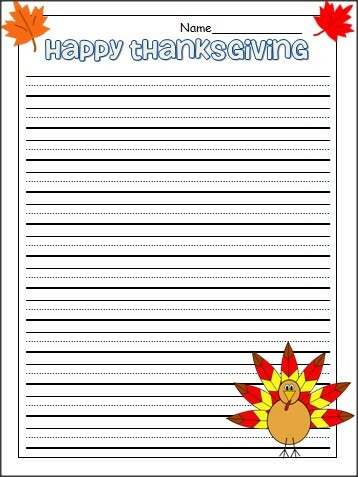 Thanksgiving Lined Writing Paper: Us this Thanksgiving themed writing a paper in class or home to encourage your student to write about something they are thankful for or whatever they feel inspired to write about! Valentine’s Day Writing Paper for Kids: You’ll love this Valentine’s Day lined paper! 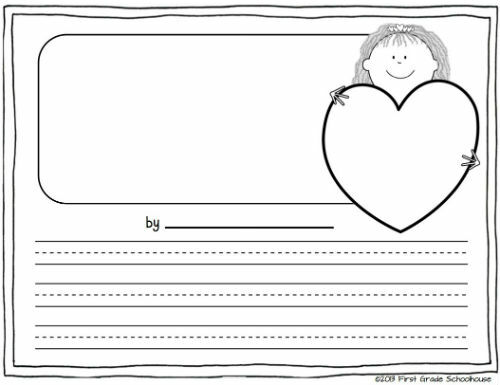 This printable template include colorful hearts and lots of space for your student or child to get creative! Winter Lined Writing Paper: Winter is a fun time of year, and is filled with writing opportunities. Let your students come up with creative ways to express themselves with a fun writing exercise about winter! 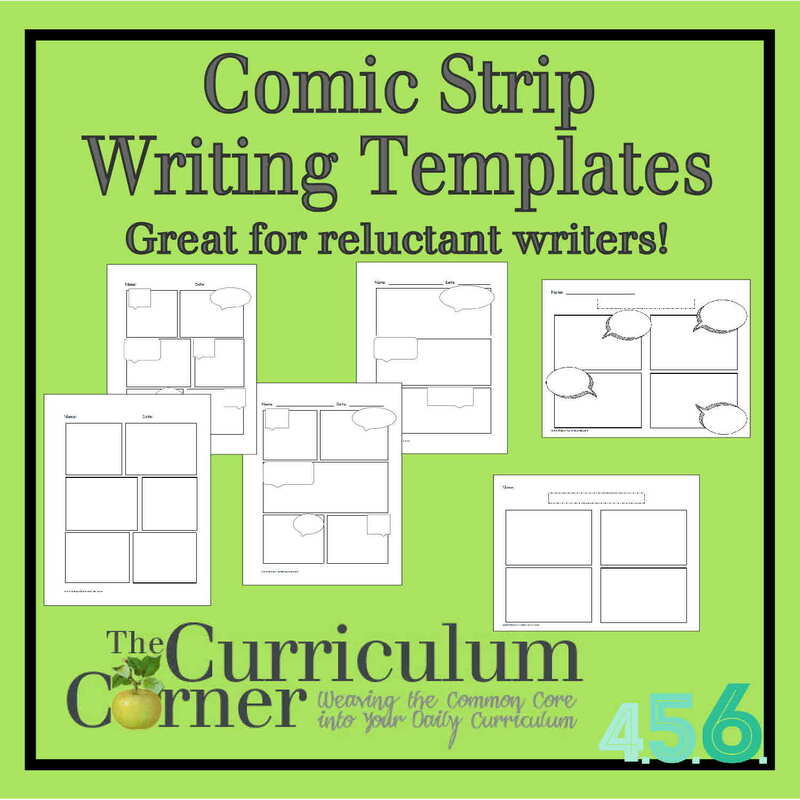 Comic Strip Templates – 5 Designs: Students love it when they get to try new things. Here is a comic book template for them which you can print out for your students and let them explore their ideas. Give them a chance to write in a way out of the ordinary! Online available templates help us to give an idea about how do they appear and to create lined paper for handwriting and notations. These can be adapted as it will save a lot of time and also give lots of options by providing tools to enhance the design and layout. 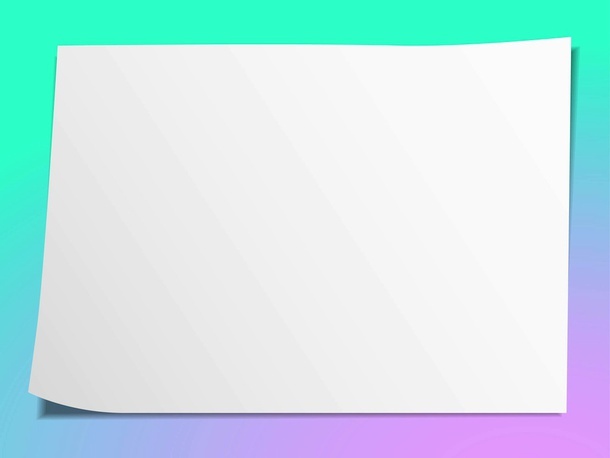 Some templates include ribbon which is used to style the lines, such as rows of thin, solid lines, or alternating rows of solid and dashed lines on a colorful grid table. Here are the steps by which you can customize your templates with the advantage of quick access and fetch unlimited printouts for your next task. Click the “File” tab on the menu bar, select “New” to open the New templates list and then enter “lined paper” in the “Search for online templates” box. Press “Enter” to bring up the filtered thumbnails. Select “Lined Paper” in the Category pane to display a more refined list of Word thumbnails. Select a thumbnail to view an enlarged version with a description, download size and rating. Click “Create” or “Download” to copy the template to a Word document. The Tools option on the menu bar displays the Design and Layout tabs alongside and enables you to customize your lined paper document. Click the body of the document and then click the “Design” tab. Click the “More” arrow button in the Table Styles group to open the chart and then point over a thumbnail in the Table Styles group to preview an updated template thumbnail. Examples of Table Styles include “Grid Table Light” in the Plain Tables section, and the light blue “Grid Table 4 – Accent 1” in the Grid Tables section. Select the preferred style to update the design. Edit your document with the tools on the Home tab. For example, select the text and then select “Font Color” in the Font group to update the color with a lighter tint. Press “Ctrl-S” to save this Word document. Press “Ctrl-P” to open the Print window and select the Printer and Settings options. The Page Setup link includes options on tab sheets: Margins, Paper and Layout. Click “Print” and check this first print out before printing additional lined paper.